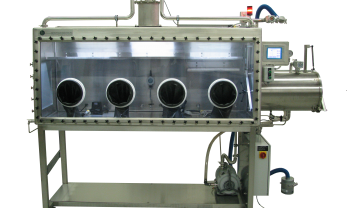 Moisture Control Systems | LC Technology Solutions Inc. 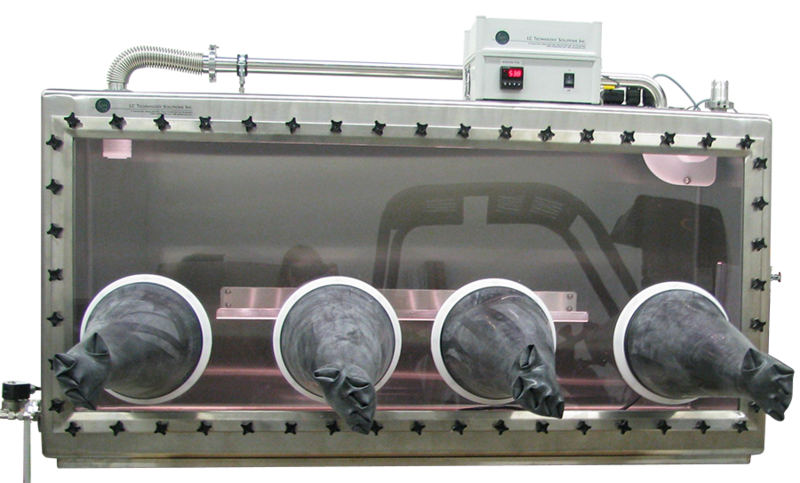 The LCMC-1 is a moisture controlled bench top glovebox. 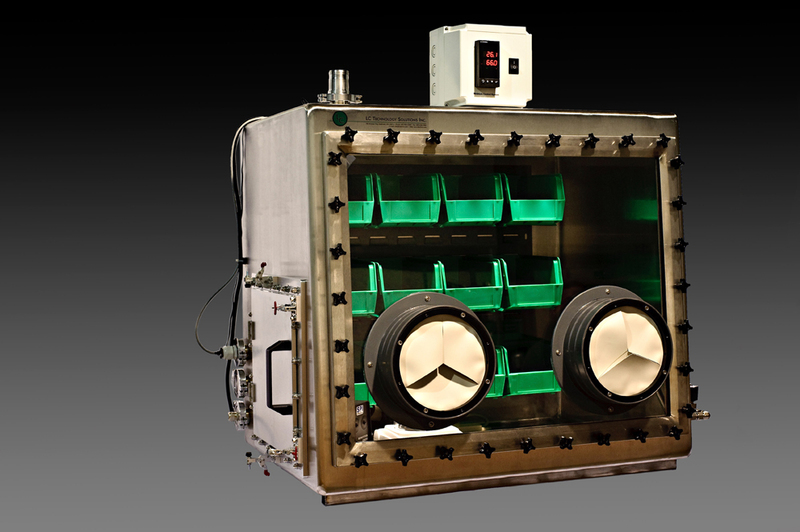 These gloveboxes are great for weighing moisture sensitive powders or other compounds that react with moisture. 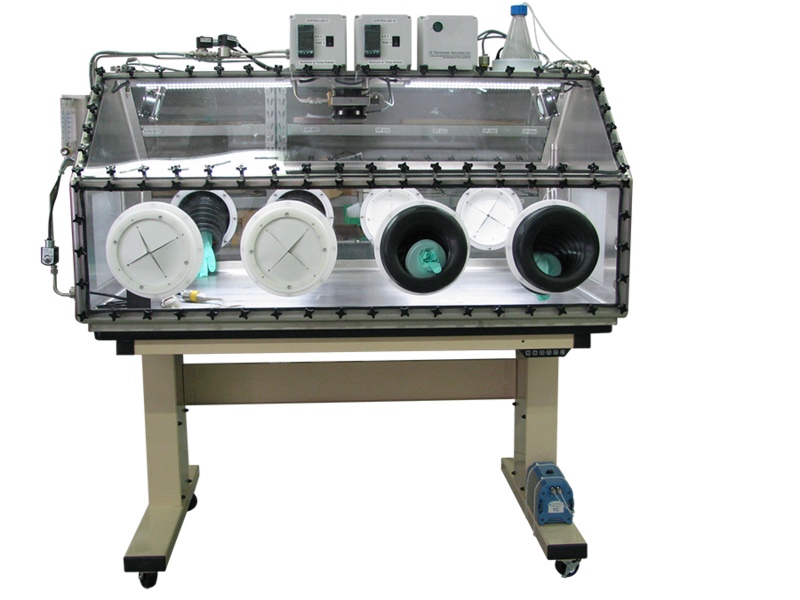 The system is constructed of stainless steel, has round or square access doors and controls moisture down to 1% relative humidity or lower, if required. 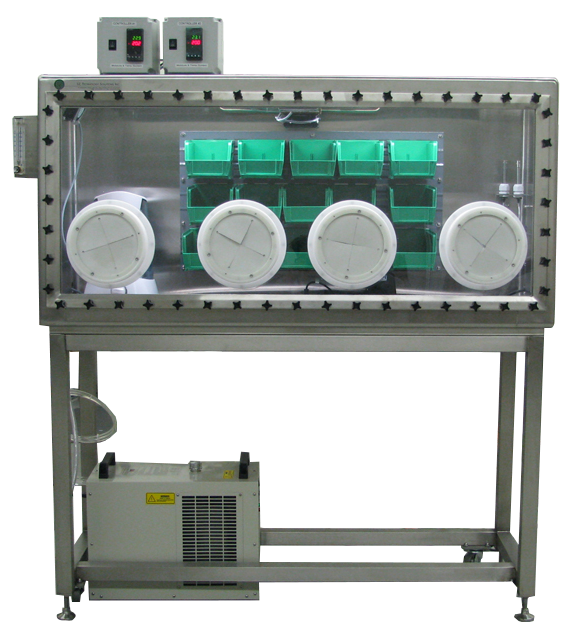 The LCMC-1 can also come complete with static eliminators, adjustable shelving, iris ports or glove ports and can also be supplied with an analytical balance. These units come complete and ready to run. 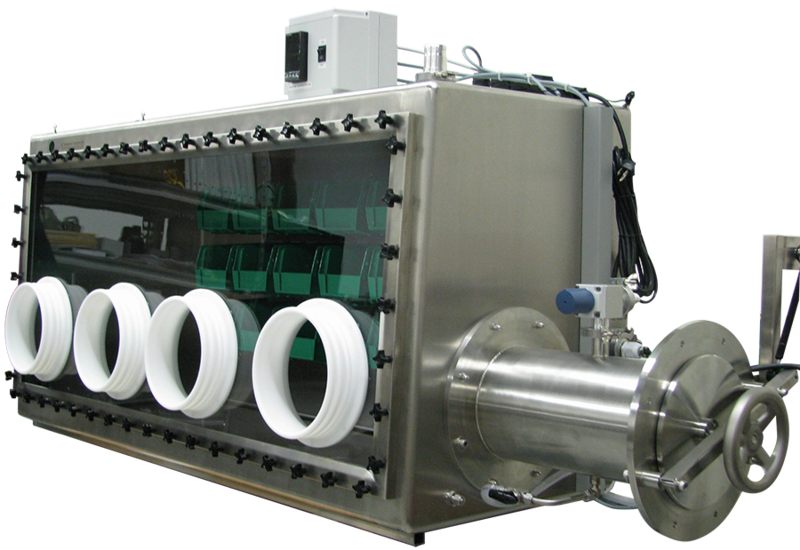 The system is available in single, double or custom lengths.